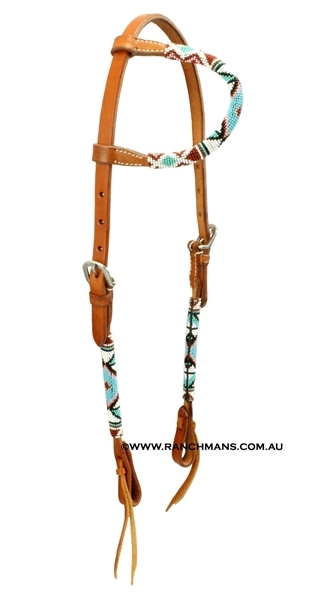 This headstall features medium leather with a beaded navajo design overlay on cheeks and one ear piece. Beads are black, white, teal, green and pink. Stainless steel buckles.